More than ever, sustainable living practices are increasing in popularity. The Sustainable Living Ottawa East (SLOE), a committee of the Ottawa East Community Association, is paving the way for this initiative in their community. The SLOE is charged with planning, developing, networking, and fundraising for these projects that support their mandate of ensuring that the neighbourhood is appealing to live and work in. 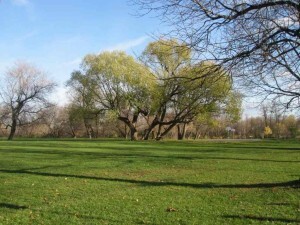 Ensuring that Old Ottawa East can adapt to environmental, economic, and social changes. The SLOE is strongly supported by members of the community. Projects thus far include: The Main Farmers Market, the Ottawa East Community Garden, the Rideau River Nature Trail, and the Lees Community Garden. What Is The Goal of SLOE Projects? Want to learn more about Old Ottawa East? Drop us a note or give us a call at (613) 238-2801.